HOW DO TIMEMOTO CLOCKING IN SYSTEMS WORK? TimeMoto’s intelligent clocking in systems combine the latest identification technology with comprehensive management tools. Using RFID proximity technology, fingerprinting technology, and face recognition, these systems eliminate hassle and error, making both you and your employees happier. 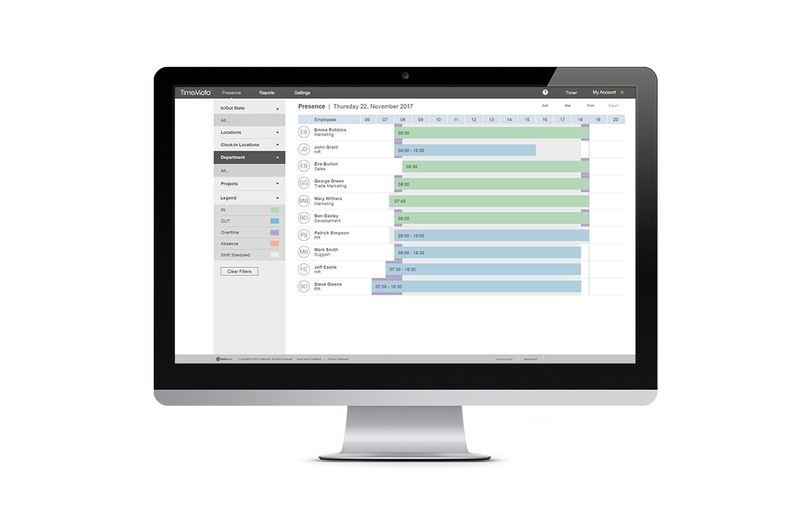 Our smart PC Software and TimeMoto Cloud help you use all the data you record to efficiently manage your workforce. Let’s take a look under the hood. RFID stands for radio-frequency identification. The technique has made many everyday tasks simpler, from timing races to paying for the bus. An RFID system has two parts: a transceiver, or reader, and a transponder, or tag. When the two parts come close to each other—“in proximity”—the reader sends a 125KHz radio signal that activates the tag, which then sends its ID data to the reader. The reader verifies and logs the tag and any other information of interest, such as the time. HOW DOES TIMEMOTO USE RFID? In the TimeMoto clocking in systems, the RFID reader is in the terminal, and the tag is in a standard credit-card-sized badge or a small key fob. Each badge or fob is unique and identifies a specific employee. You simply hold your tag close to the terminal; you don’t even have to take it out of its holder. The reader recognizes you and registers the time, and a second later, you’re done. Fingerprinting is an even more advanced way to recognize a person. No two fingerprints are the same, so there’s no way to abuse the system, and there’s no card to lose or misplace. 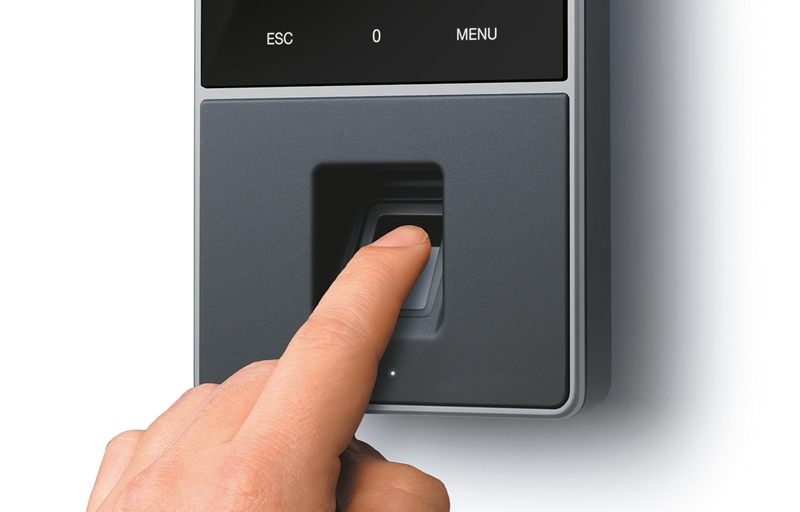 The method is also very easy to use: simply register your fingerprint once at the TimeMoto terminal, then place your finger on the terminal’s integrated sensor whenever you enter or leave. WHAT HAPPENS TO MY FINGERPRINT DATA? 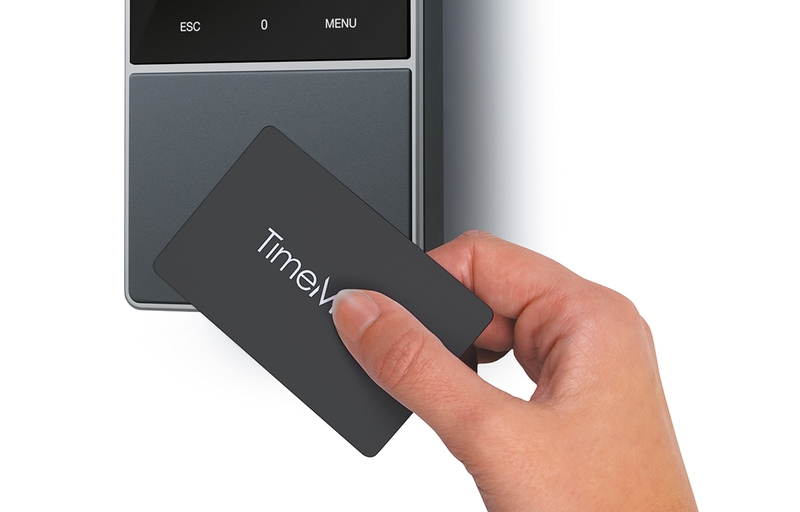 TimeMoto’s clocking in systems never store your actual fingerprint. Rather, TimeMoto’s algorithm extracts a handful of unique points as it scans your finger, then converts them into a complex numerical code, which it links to your employee number. All the TimeMoto terminal stores is this code—a value that is meaningless in any other context. 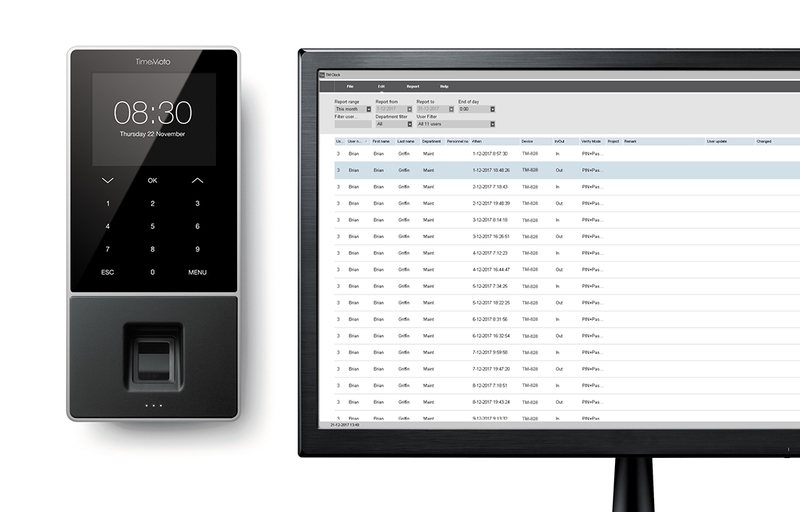 That means no one can ever access your fingerprint data through a TimeMoto time clock. WHAT MAKES TIMEMOTO’S CLOCKING IN SYSTEMS INTELLIGENT? There’s so much more you can do with time-clock data than just see when employees are on the job. TimeMoto has developed comprehensive, one-stop software and cloud solutions to help you make smart use of the available data. Generate detailed project overviews, print real-time fire roll-call reports, create color-coded work schedules and send automated input to your payroll system, all based on data you’re already recording. Now that’s what we call intelligent.